What are planetary rulerships, dignities and debilities? As people begin to explore their birth chart, a series of questions arise. 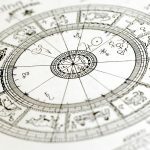 “I have Mercury in Pisces, is that good or bad?” Unfortunately (or fortunately), nothing in astrology is as simple as that. To answer such questions requires some deeper knowledge. To know about planetary rulerships, dignities and debilities is a good start. Planetary rulerships, dignities and debilities are a set of basic characteristics about the planets. They tell you when a planet or star is at its best or worst aspect. Such characteristics will depend on their positioning and the sign they meet in the birth chart. From there, we can see if a planet has more affinity with the sign x or y.
Astrological studies are very deep and for you to understand more easily, here we will focus on the main planetary rulerships, dignities and debilities. To begin with, we shall speak of the two most famous essential dignities: rulership and exaltation. Soon after, we will explain the two most famous weaknesses: exile and fall. When a planet is positioned in the sign to which it was originally assigned, we say that they are in their own rulership. We can also call this situation home or domicile. It is here where the planet feels more comfortable to act and emanate its energy. The planets and signs work in perfect harmony. Below there is a list of the rulership of each planet and star. When a planet is not in its “home” but is very welcomed by the host. This means that even if the sign does not have the same characteristics as the planets, they are able to understand their energy. That way, the two still manage to work together in a healthy way. You can see below how it goes. When in the sky, the planet is in the opposite sign to its original rulership, we say it is in detriment or exile. This means that the planet has its characteristics weakened. The essences are opposite and this is considered a “bad thing”. But no need to splurge, this just means that some problems of expression may occur. Moreover, every factor in the birth chart can be worked with the influence of other aspects. Check the list below. The planet is in fall when it positions itself exactly in opposition to its exaltation. In the same way that exaltation is a good thing, but on a smaller scale, we can say the same about this aspect. The fall is not the worst of evils and it is still easier to work to turn the aspects in your favor. The planetary rulerships, dignities and weaknesses have a particularity. Uranus, Neptune and Pluto are considered generational planets. That is, they influence a whole group of people and it is difficult to determine all their dignities and debilities. Because of this, they are not on the list.